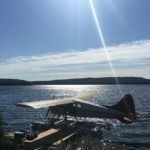 For fly fishers and their families who are looking for a great wilderness retreat that is a drive-to, one of the best is Agnew Lake Lodge in Northeastern Ontario. 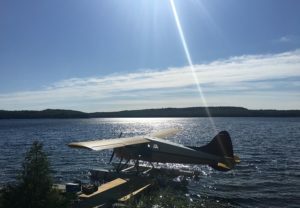 The lodge has beaches, water activities, hiking trails and much more. 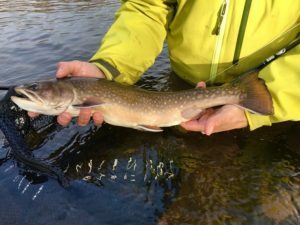 But what most people come for is the great fishing. 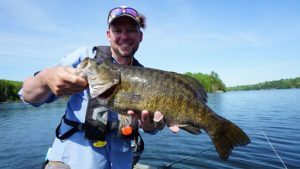 There is walleye, pike and smallmouth bass throughout Agnew Lake. 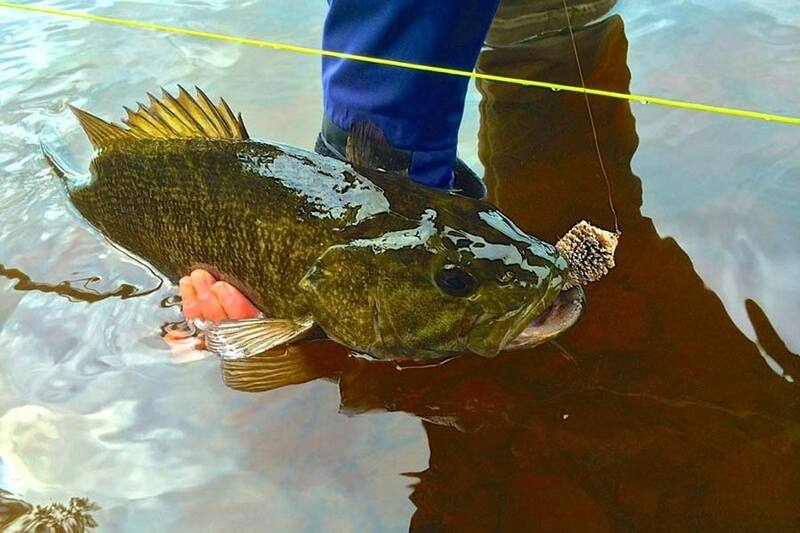 Our favourite species is the big smallmouth bass. The bass here will readily come to the surface to take poppers. Black, green and yellow all work exceptionally well. 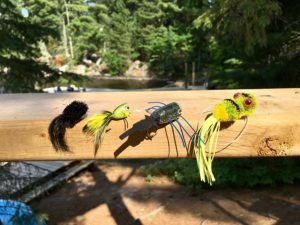 Use six or seven weight rods to cast poppers over rocky points, near beaver lodges, around docks and especially in boulder areas. 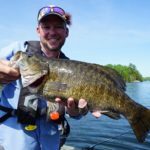 Slow retrieves with large “pops” of the surface popper will ignite the smallmouth into explosive takes. 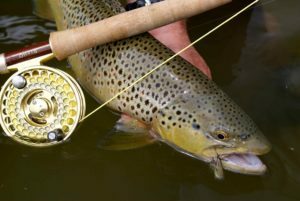 Fly fishers should also bring leech and crayfish patterns coupled to intermediate flylines. 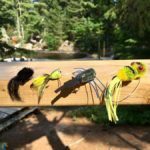 Smallmouth love crayfish and a wooly bugger skipped along the bottom in colours like root beer or brown will usually result in solid takes. Once hooked, the bass here go airborne and put up an exceptional fight.